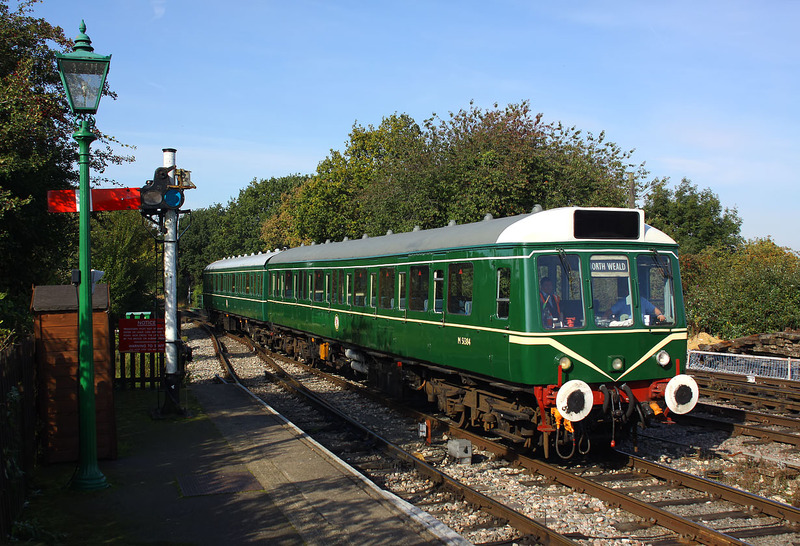 The Epping Ongar Railway's hybrid Class 117/121 unit arrives at North Weald station on 24 September 2017 with the 2E02 10:03 Epping Forest to North Weald service, during the line's Diesel Gala. The leading vehicle is Class 117 DMS 51384, with Class 121 DTS 56287 behind. Note the incorrect use of a M prefix to the number. This vehicle was part of Western Region set L407, and would have carried the number W51384.